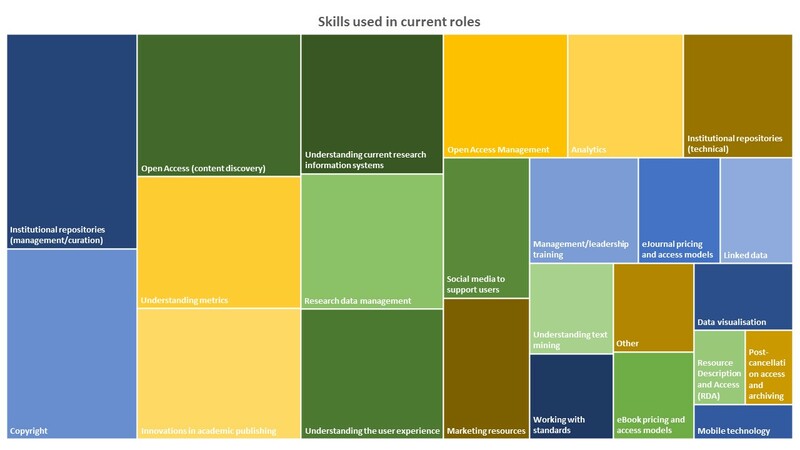 Figure 4 How are current skills developed? Figure 5 How are future skills developed? The results of this analysis seem to tie in with previously shared results which showed that just over half of respondents with an LIS qualification (56%) felt that this did not equip them with knowledge of the scholarly communication process. Excellent insights. May I copy and publish this findings on the weekly bulletin The Librarian Times. The Librarian Times is a weekly volunteer bulletin for library professionals in Bangladesh. We are delighted you find this useful! Please do copy this and share where you think it will be helpful. All blogs on Unlocking Research are available under a Creative Commons Attribution license which means you can copy and reuse the material as long as you acknowledge the source. From across the Pond: Glad to see “understanding the user experience” is included. That is especially important for libraries serving hospital clinicians who need to access clinical information in only a few minutes or their question/validation goes unanswered. Librarians have not used their collective influence to ensure online resource vendors are meeting this need. E Books are mostly only pdfs which are OK for medical students but useless for clinicians. Books not pdfs, are not much of an improvement. For example they have poor displays of results, little enhanced mapping of related terms over and above the book’s index, and few aids to make it easy to back up and start over if a path taken is not fruitful . Practicing Evidence-Based Medicine is made incredibly difficult due to the number of conflicts of interest authors of books, articles, practice guidelines and online resources have. Yet the big kahuna in the U.S. that is replacing librarians in small community hospitals, UptoDate, no longer puts conflicts of interest in-your-face next to the author’s name for a section, but now has them under a link entitled “contributor disclosures”. It’s competitors don’t even do that.